The ideal location for your holiday. 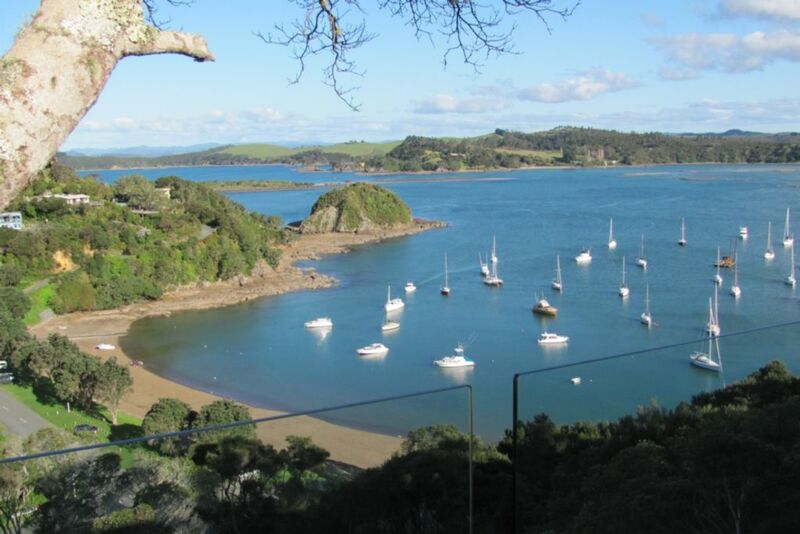 Stunning views of the Bay of Islands from a large modern deck. Perfect for a family holiday with a safe swimming beach, rock pools and walking tracks to explore, or a get away to relax and enjoy the spectacular views and peaceful surroundings. Hear kiwis at night and you may be lucky enough to see one on the lawn. Listen to and see the abundant birdlife. No hidden costs. Bed linen and towels are included in price, as is use of rowboat, kayaks and basic fishing gear. Boat ramp at end of beach which is accessible in all tides. Beach a 3 minute walk away. Close to Kerikeri village, about 12 minutes by car, with its market, shops, golf course, wineries and historic sites. Use as a base for exploring Northland. An option cleaning service ($50) is available. Request it when you make your booking if you wish. We offer a Couples Winter Get Away Special of 20% discount on your stay. Kerikeri beach house is also available for longer term bookings. Sorry no pets as this is a Kiwi area. No tents or camping. Smoking outside only. Peaceful and serene surroundings. Bush walks, kiwis and other native bird life. Central as a base.